TextBlast is perfect for SMS marketing and communication. 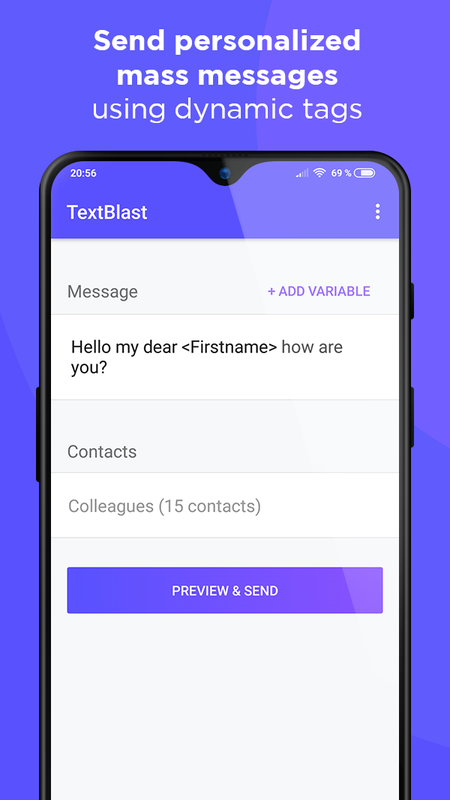 TextBlast will dynamically add the firstname, and/or lastname of your contacts depending on your needs. 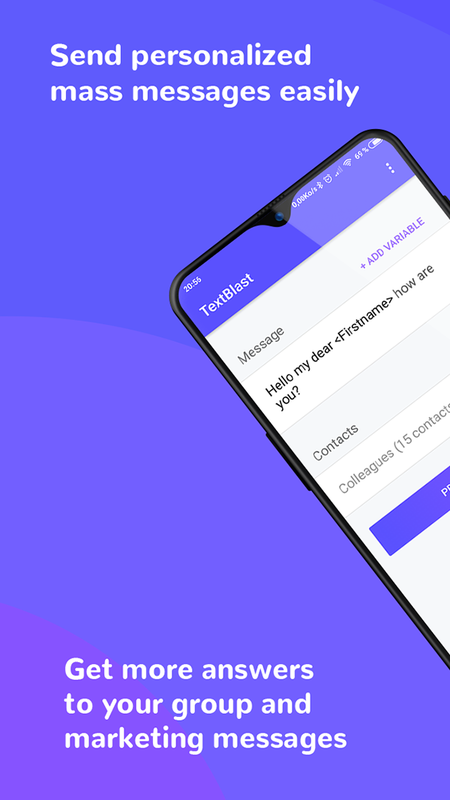 The SMS app will be opened for each contact with the customized text and the contact filled. You will just have to send them! 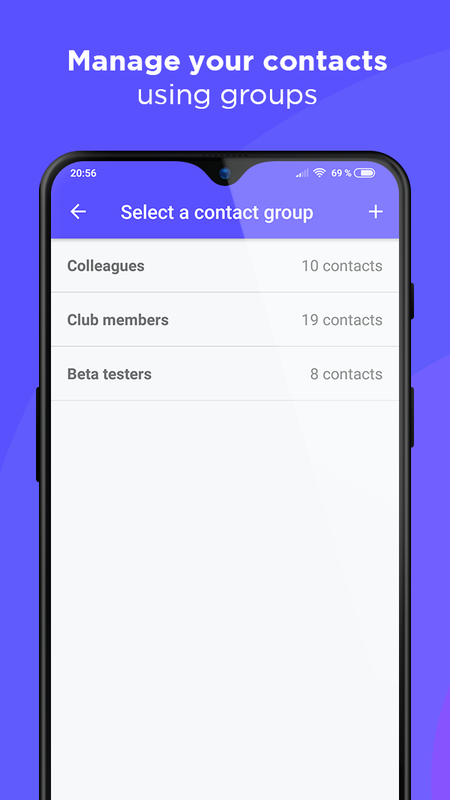 Create and edit your contact groups. Then you can send the right SMS to the right people. 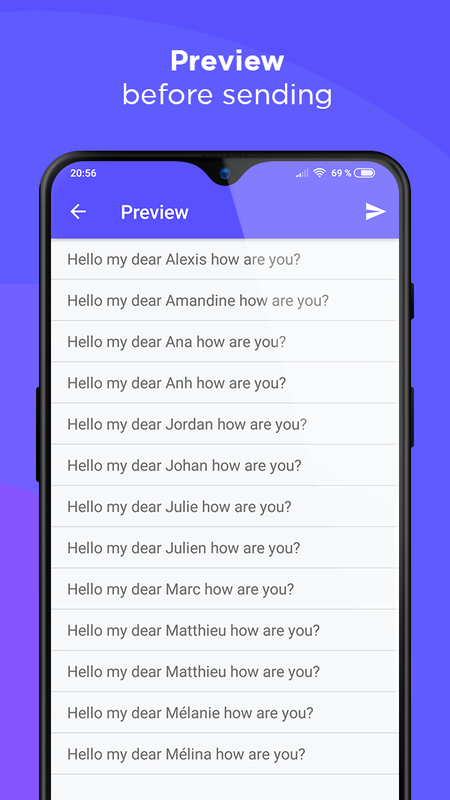 Preview your messages before sending them! You can then edit each message before sending. Because the SMS are sent by your device, your contacts will see your number and know it is coming from you! 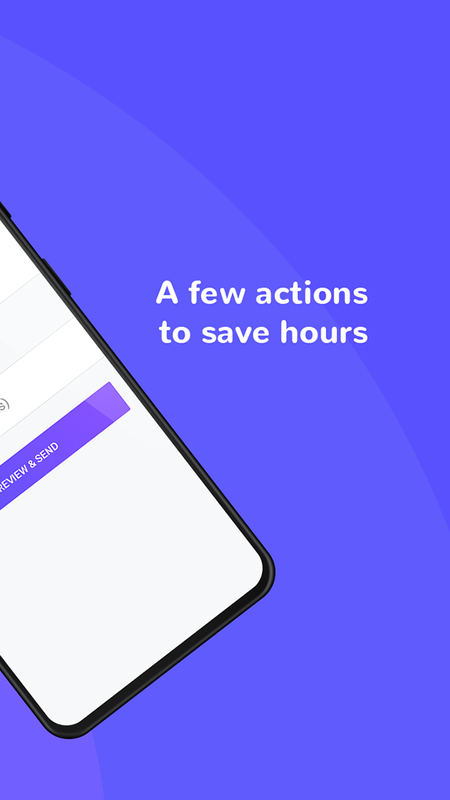 You will then receive more answers than a non customized message sent by a third party number.